The T1 table from Andersen Furniture is an extendable table from byKATO, which features lightness and flexibility. Its timeless form language creates new possibilities in the room. At the same time, the table can be extended arbitrarily depending on the occasion. The table features a durable laminate top in many different colours and a four-legged frame made of solid wood with visible tenons. The table with a length of 160 cm allows to be extended with up to three additional leaves (not included) to a total length of 310 cm. Thus, the dining table offers ample space for 4-10 people - depending on the seating. 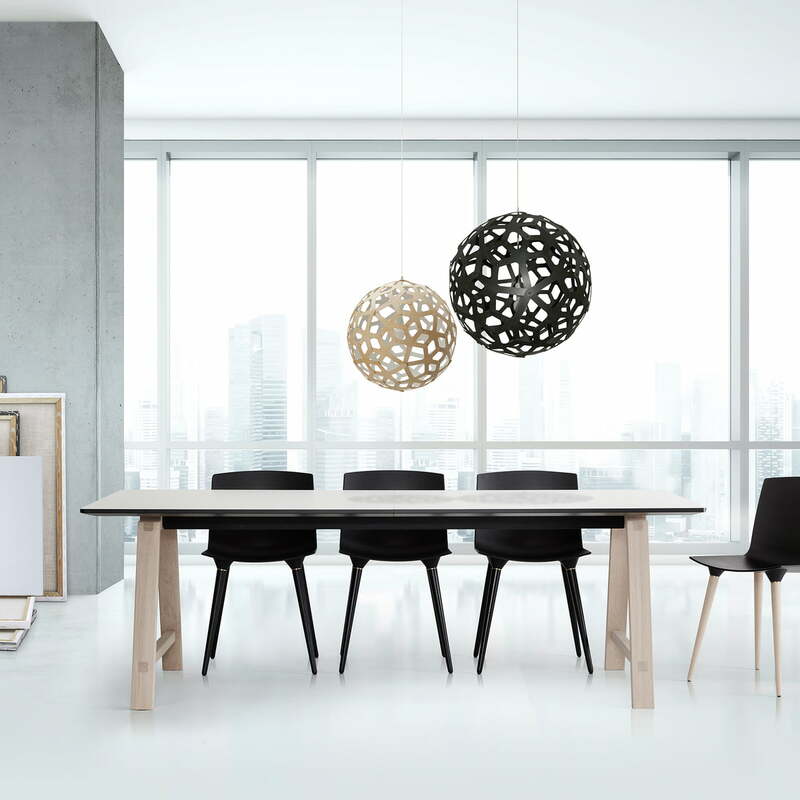 Awarded the Wallpaper Design Award 2012, the flexible dining table by Andersen Furniture is a design highlight that equally convinced with function and a well-balanced design language. 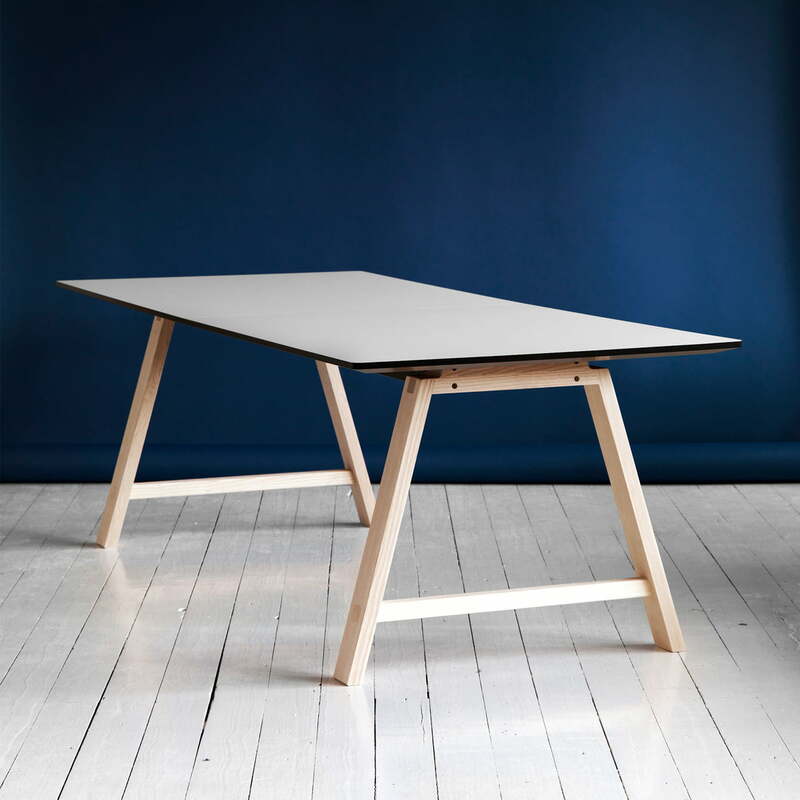 Product view of the T1 Extendable Table with a basic length of 160 cm by Andersen Furniture. 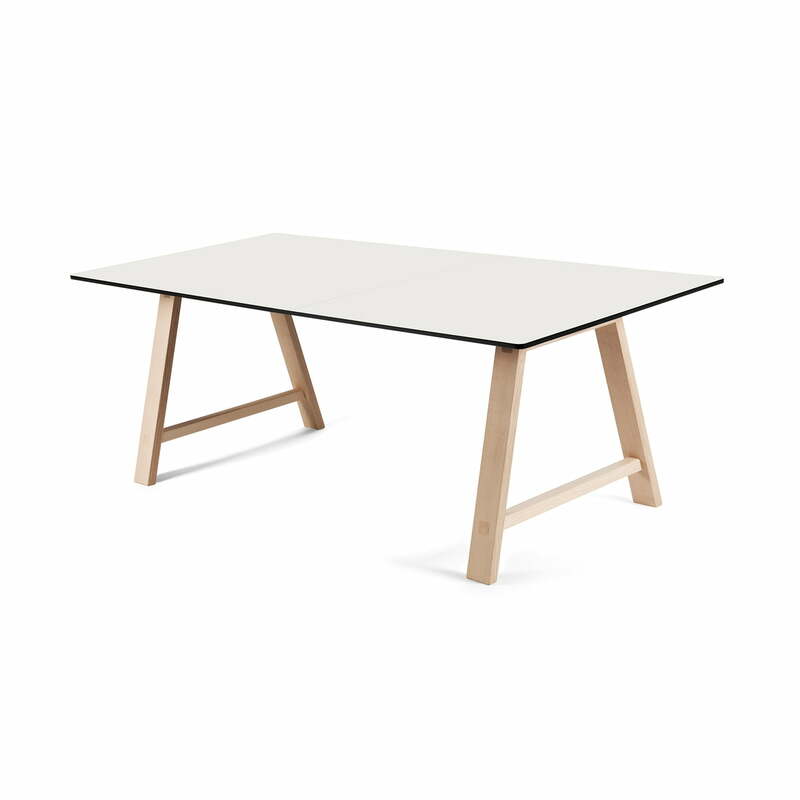 The frame consists of soaped oak and the table top is made of laminate in white. Atmosphere view of T1 extendable table by Andersen Furniture. The table can be extended or reduced with the help of table leaves according to the occasion. 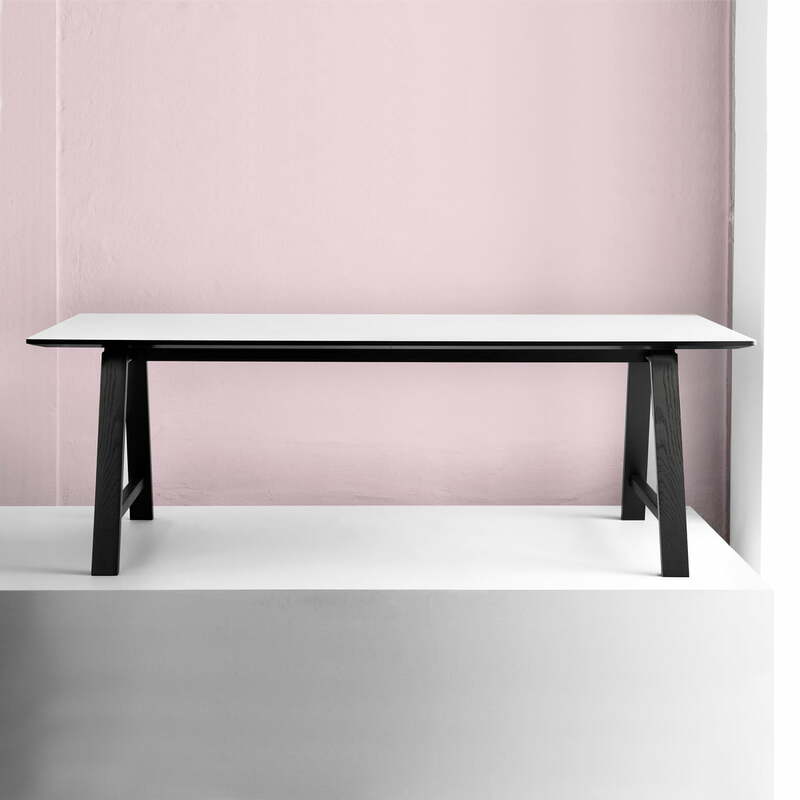 In 2012, the T1 table by Andersen Furniture was awarded the Wallpaper* Design Award, which is each year awarded by the prestigious wallpaper* magazine for design and fashion. 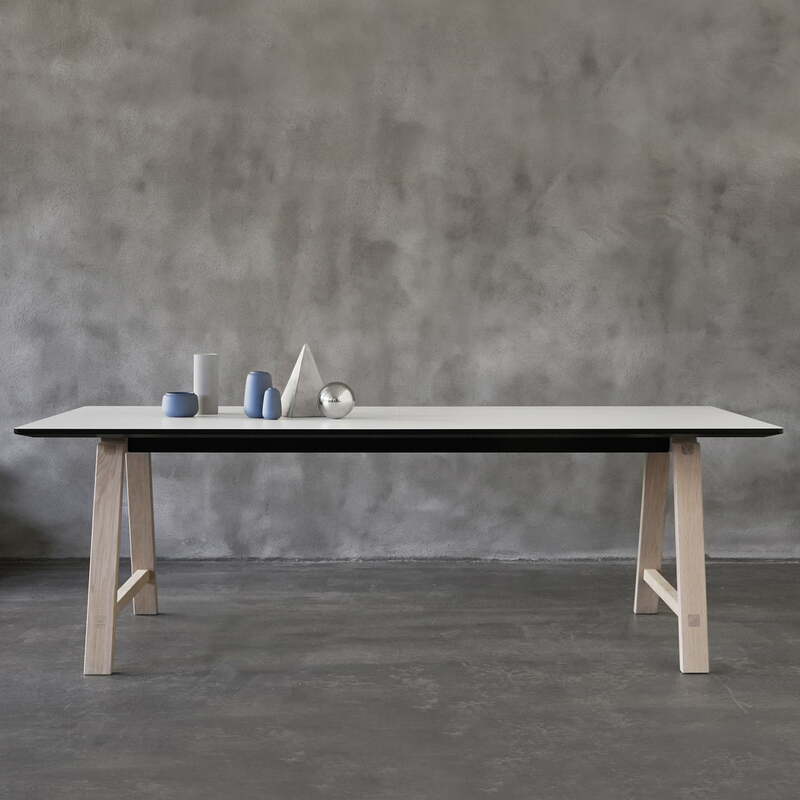 The T1 extendable table from the Danish label Andersen Furniture is an extendable table made of wood from byKATO, which features lightness and flexibility. Atmosphere view of the T1 pull-out table by the designer duo byKATO for Andersen Furniture. Its timeless form language creates new possibilities in the room. 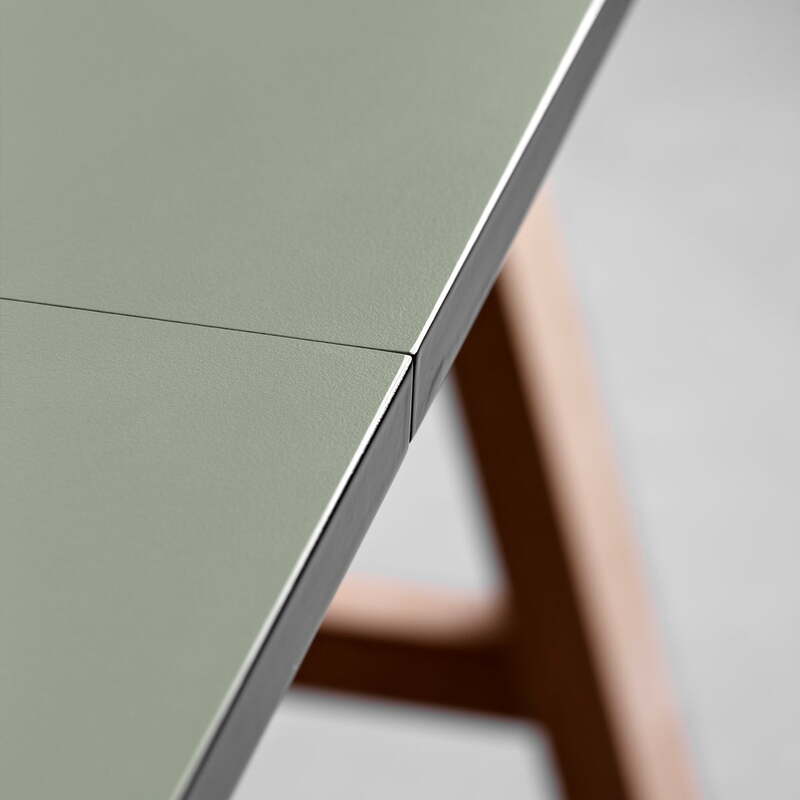 Detail view of T1 extendable table by Andersen Furniture. For the base you can choose between white oiled, soaped or oiled oak and ash wood, a painted version in black and walnut are available, too. 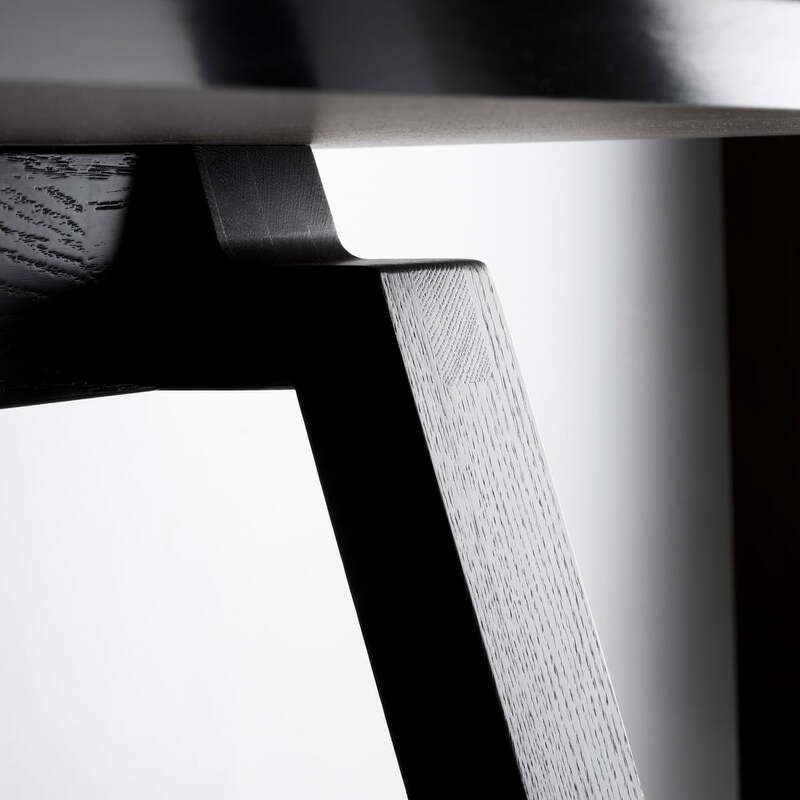 Detail view of T1 extendable table by the brand Andersen Furniture. The table to pull out has a four-legged frame made of solid wood with visible tenons. 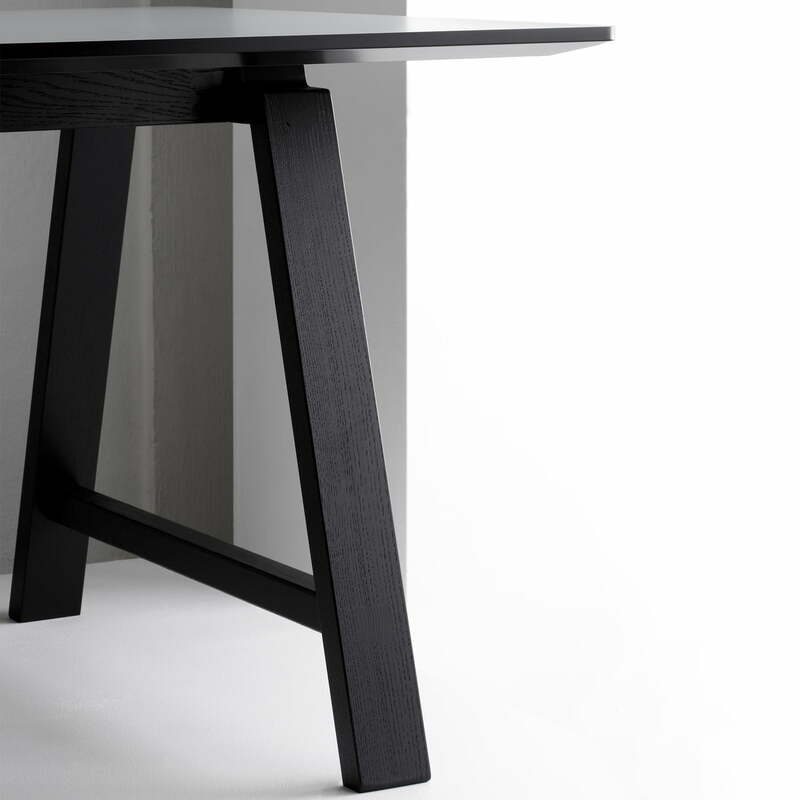 Detail view of T1 extendable table by the Danish manufacturer Andersen Furniture. The table comes with a durable laminate top in many different colours.